This Halloween, a sugar rush—for you and your kids—is probably inevitable. But you do have some control over the quality of the treats that your family is ingesting, and that you’re doling out to the neighborhood. 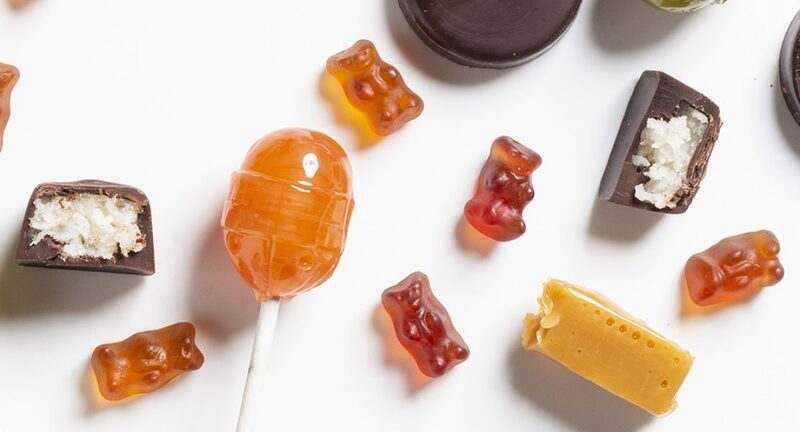 Stroll through the natural candy aisle at Wegmans and Whole Foods and you’ll find more options than ever for individually packaged goodies that are free from artificial colors and flavors, and most major allergens. Pretty sweet, huh? Many are even made with organic ingredients. We put a dozen promising picks to the test, here’s what we’d eat again. Chewy, fruity, and even better than the original. These gummies taste more like real fruit and are naturally colored with blueberry, carrot, and saffron. Bonus: One packet contains 100% of your daily value of Vitamin C, but just 9 grams of sugar! This dairy-free alternative manages to nail the perfect chewy-silky, melt-in-your-mouth texture of a traditional caramel. There’s a noticeably coconutty flavor, though, so if that’s not your thing, then pass. We love that this healthy take on a peppermint patty contains just three (all organic!) ingredients—honey, unsweetened dark chocolate, and peppermint oil. At just 50 calories per patty, they’re practically guilt free! These delightfully sweet, naturally hued pops are filled with gum made from all-natural chicle—the sap-derived ingredient all gum was made from pre-WWII. Most modern gum, on the other hand, is made from questionable synthetic rubbers.